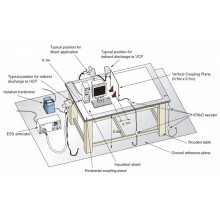 ESDGuns.com is the only supplier of all ESD testing tables, components and accessories to help you meet IEC 61000-4-2, CE Mark and other electrostatic discharge compliance standards. 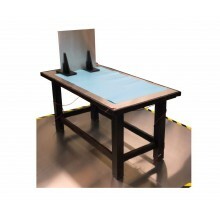 An ESD test table typically includes a ground plane, hoizontal and vertical coupling planes, two grounding cables with 470 kOhm resistors and insulation material. ESD Test Tables There are 2 products.